Liturgy comes from the word ‘leitaurgia’ meaning the work of the people. It’s what we do when we come together as a Catholic community to worship publicly. This happens in the Mass and the other Sacraments as well as in the Prayer of the Church. There is a particular pattern and rhythm to the Liturgy. The Liturgical Calendar gives shape to this. It begins every year in late November or early December on the First Sunday of Advent and runs through to the Solemnity of Christ the King, the following November. 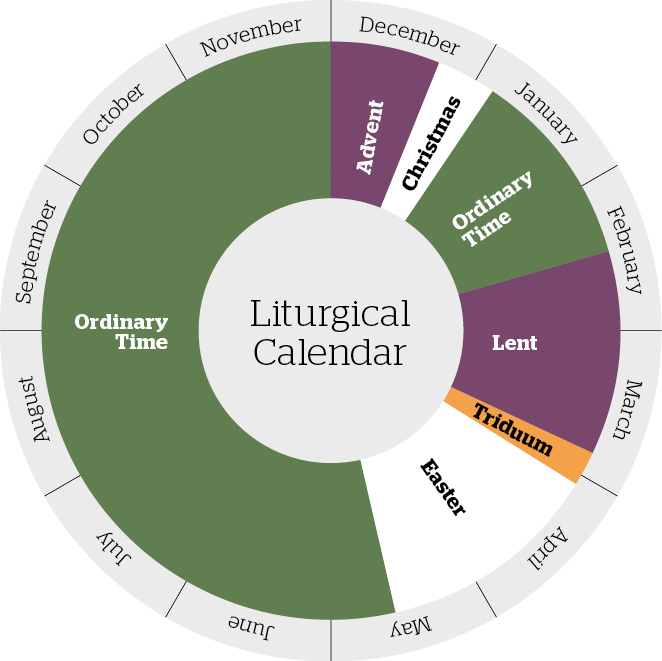 The Liturgical Year consists of the cycle of liturgical seasons. It determines when feast days are to be observed and which parts of Scripture are to be read in either an annual cycle or a cycle of several years. The ‘Lectionary’ – the Mass readings from the Bible – follows a Sunday cycle and a weekday cycle. In each cycle of the Liturgical Calendar there are six seasons – each emphasising a part of the life of Jesus: Advent; Christmas; Lent; Triduum (three events – Holy Thursday, Good Friday, Easter Sunday); Easter; Ordinary Time. Distinct liturgical colours may appear in connection with the different seasons. ‘By means of the yearly cycle the Church celebrates the whole mystery of Christ, from his incarnation until the day of Pentecost and the expectation of his coming again’ – General Norms for the Liturgical Year and the Calendar, published by the Vatican’s Congregation for Divine Worship in 1969. This year is the Gospel of Matthew. The Gospel of Matthew has been the most used gospel by the Catholic Church. It contains the Petrine text and five great blocks of teaching on: the Sermon on the Mount; Church Mission; the great parable chapter; leadership and ministry in the Church; the apocalyptic discourse (the teaching on the end). The great Petrine text (you are Peter and upon this rock I build my church) has many references to the loss of salvation, external darkness; but its central light is the Jesus who lifts the burdens on people. ‘My yoke is easy, my burden is light’. When I was a child I listened to the same two readings (the Epistle and the Gospel) at Mass on Sundays and feast days year after year – in addition to the beginning of the Gospel of John (1:1-4) which was always the Last Gospel. There were very few readings from the Old Testament. This all changed dramatically with Vatican II and the introduction of the three-year liturgical cycle (A, B, C) 30 November 1969. At the time there was great debate about the length of the cycle but the group tasked with implementing the mandate given in The Constitution on the Sacred Liturgy (1963) #51, 102, decided three years should be adequate. Apart from consulting that wonderful treasure hanging on my office wall, the Columban Calendar*, how do I know that we are now back to Year A? Simple: if the year is divisible by three then it’s Year C.
The First Reading is always from the Old Testament; except during Easter Season when it is from Acts of the Apostles. The Responsorial Psalm is usually from the Book of Psalms; but sometimes from other biblical ‘Canticles’. The Second Reading is mostly from the Letters of Paul, but sometimes from other New Testament Letters and the Book of Revelation. The Verse before the Gospel is usually a direct biblical quotation, but sometimes it is adapted. The Gospel is Matthew (Year A), Mark (mostly) (Year B), Luke (Year C). John is used mostly in Lent and Easter every year. For weekday Masses, there is a two-year cycle: Year I (odd-numbered years, including feasts of saints with ‘proper’ readings); Year II (even-numbered years, including feasts of saints with ‘proper’ readings). This year, 2017, is an odd-numbered year, so we are following the Readings for Year 1. • the Gospel is the same each year — semi-continuous readings from Mark, Matthew, Luke, in that order. Having got the Lectionary sorted, let’s now look at the liturgical seasons and their associated colours. The liturgical year begins with ADVENT (purple – the Columban Calendar notes the various seasons and colours), which occurs from the fourth Sunday before Christmas (between 27 November and 3 December) until Christmas Eve. It is the season of hopeful waiting. The 2017 liturgical year began 27 November 2016. The Sunday after Christmas Day (white) is the feast of the Holy Family. The next Sunday is the feast of the Epiphany. The next Sunday is the feast of the Baptism of the Lord (usually). The Solemnity of Mary, Mother of God is celebrated on 1 January. Easter Sunday is celebrated on the Sunday nearest the first full moon after the Spring Equinox (northern). We count backwards from there to get the six Sundays of LENT (purple) preceded by Ash Wednesday. LENT is the 40-day preparation for the Paschal Triduum. The 40 days are counted from the First Sunday of Lent until Holy Thursday. (The four days from Ash Wednesday until the First Sunday are a prelude to the season of LENT.) The Sixth Sunday of Lent is called Palm Sunday (red). The Thursday of that week (known as Holy Week) is called Holy Thursday (white). It is followed by Good Friday (red), Holy Saturday (white) and Easter Sunday (white). From Holy Thursday sundown until Easter Sunday sundown is known as the Paschal Triduum meaning the ‘three days of Passover’. These are the most important days of the Liturgical Year. EASTER TIME (white) is the 50-day celebration that flows from the Paschal Triduum. There are eight Sundays of Easter beginning with Easter Sunday. The seventh Sunday is the feast of the Ascension (white). The eighth Sunday is Pentecost Sunday (red). 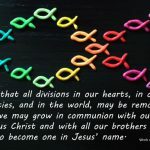 The next Sunday is Trinity Sunday. The next Sunday is the feast of the Body and Blood of Christ. The Friday after that is the feast of the Sacred Heart. June 29 is the feast of Ss Peter and Paul (red). The following Sundays as well as the few Sundays (sometimes there are a few) in June before the feast of Ss Peter and Paul are all Ordinary (ie counted) Sundays (green). The final Sunday of the Liturgical Year is the Feast of Christ the King (usually the last Sunday in November – white). New Zealand’s patronal feast day is the Assumption of Mary, 15 August (white). All Saints Day (white) is celebrated 1 November. The Archdiocese of Wellington’s patronal feast is the Immaculate Conception, 8 December (white). The Diocese of Palmerston North’s patronal feast is Pentecost Sunday (red) – this year it is 4 June. So there we have it — the Lectionary and the liturgical calendar all sorted! 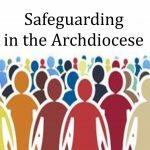 For readers wanting further information on this somewhat complicated topic, Felix Just’s website is extremely helpful (catholic-resources.org/Lectionary/). This year (Year A) we will be following the Gospel of Matthew on Sundays. Next month I will give a brief overview of the Gospel. 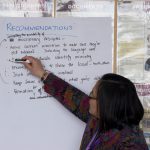 For readers wanting to get ahead, have a look at these two short but excellent videos (tinyurl.com/YouTube-Matt-1-13 and tinyurl.com/You-Tube-Matt-14-28).